Oklahoma City, which is the capital of the state of Oklahoma, is also the state's largest city. In fact, as of 2013, there were over 600,000 people living in the city. The local economy of Oklahoma City is primarily dependent on such industries as oil, petroleum and natural gas. This is a community that has been named one of the best places for businesses and careers today. Oklahoma City was first settled by 10,000 homesteaders who were taking advantage of the Land Run in 1889. The town grew rather quickly and even doubled in population by the year 1900. In 1907, Oklahoma City's population surpassed the state's capital, which was Guthrie at the time. Because of this, the capital was changed to Oklahoma City. With the discovery of oil in 1928, Oklahoma City became a major center for oil production in the U.S. Soon after this, the community exploded with growth. New businesses, both small and large, popped up all over the area. Today, Oklahoma City retains a wealth of businesses and a delightful variety of Oklahoma City OK homes. No matter where you may own real estate in Oklahoma City, you will be close to dozens of parks that offer terrific amenities for a relaxing afternoon with the family. One of the most popular parks in the city is Hefner Park located on Grand Blvd. Features of Hefner Park include a baseball field, basketball courts, dog park, playground, golf course, picnic tables, tennis courts and a walking path. Another favorite park among people who live in Oklahoma City properties is Route 66 Park, which is located on Overholser Drive. This park offers such amenities as fishing, a playground, picnic tables, a softball field, a skate park and hiking trails. Other great parks in Oklahoma City are Dolese Youth Park (NW 50th Street), Earlywine Park (SW 119th Street) and Macklanburg Park (NW 117th Street). As an Oklahoma City home buyer, you will never be without something fun to see or do. This is a city that is overflowing with attractions and activities for people of all ages. For family-oriented fun, you will want to visit such places as the Oklahoma City Zoo, Orr Family Farm, Tiger Safari or White Water Bay. If you are looking for a great place to go bowling or play a round of golf, you are in luck! Oklahoma City real estate is just minutes away from Meridian Bowling Lanes, Redpin Bowling Lounge, Earlywine Golf Club, Lake Hefner Golf Club, Trosper Golf Club and James E. Stuart Golf Course. Want to take in a bit of history or culture? Explore such attractions as the Science Museum of Oklahoma, Museum of Osteology and the National Cowboy and Western Heritage Museum. When people choose to buy Oklahoma City homes for sale, they can join together with other members of the community during various special events held throughout the year. Perhaps the most popular event in Oklahoma City is the Oklahoma State Fair, which takes place in September of each year. Highlights of the State Fair include carnival rides, games, delicious food, agricultural exhibits and live performances. Another event you will not want to miss in Oklahoma City is the Oklahoma Regatta Festival, which takes place every year in October. During the Regatta Festival, you can enjoy such features as a fireworks display, live music, children's games and dragon boating. Other popular events held annually in Oklahoma City include the Red Earth Native American Cultural Festival (Early June) and the Paseo Arts Festival (May). If you are looking for a home that is located in an area that is brimming with job possibilities and fun attractions, call Oklahoma City real estate agent Karen King today! She can answer any questions you may have, and as an Oklahoma City REALTOR®, she will help you choose among the many beautiful homes for sale in Oklahoma City. 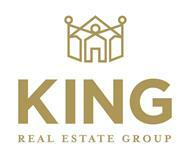 Give Karen King a call now and make an appointment to view available Oklahoma City properties. 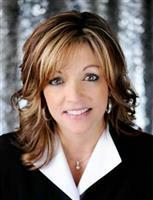 Let her help you find your ideal home today!